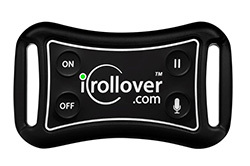 iRollOver is a Positional Sleep Therapy Trainer and Stop Snoring Solution that keeps you sleeping on your side by simply requesting that you “Roll-Over” once you begin to sleep on your back. 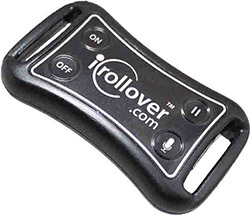 Purchase iRollover today and turn your back on snoring. All products sold are covered by our 30 day return policy. For most of us, one of the most effective snoring solutions has been our spouse. How often does your spouse request you roll-over when you start snoring – or elbow you to turn on your side? This natural cure for snoring comes at a significant cost… your spouse is not obtaining the sleep they deserve. Lack of sleep leads to irritability, numerous health problems and a significant reduction in personal productivity. 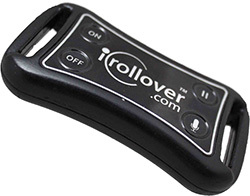 Make the decision to stop snoring for both of you and start using iRollOver today!